Elephants World is located in Kanchanaburi, the west of Bangkok in Thailand. Elephants World accommodates 28 elephants that were once whipped and fragmentary, and their stories make travellers burst into tears. Some elephants are old or ill, they are sent by their owners. Some are rescued by staff and other good hearted people, they can't bear elephants were suffered badly treat, so they bought them and sent them to Elephant World. Elephants World was founded in 2008 and it is a famous Elephant Sanctuary in Kanchanaburi. The motto of Elephants World is that we are working for the elephants, not the elephants for us. Elephants World advocates the following 4 principles: quality time with elephants, animal friendly, non-profit organization and forbid animal abuse. It is a sanctuary for sick, old, disabled, abused and rescued elephants, because all elephants can receive the rest and joy that they deserve. They can enjoy themselves in natural environment here until their death. Unlike the ordinary elephant camp, the elephant world's elephants do not need to carry visitors, do not have to perform a circus. Volunteers tell visitors that an Asian elephant can weigh up to 4000 kilos, but the elephant's back is very fragile and can't bear more than 100 kilograms. Some elephant camps allow the tourists ride the elephant, the chair on the back of the elephant has weighed 50 kilos, but an elephant has to carry two or three people, and it is already more than the weight that elephant can bear. So riding elephant would do a lot of harm to the elephants. We can love and care for elephant rather than hurt them. 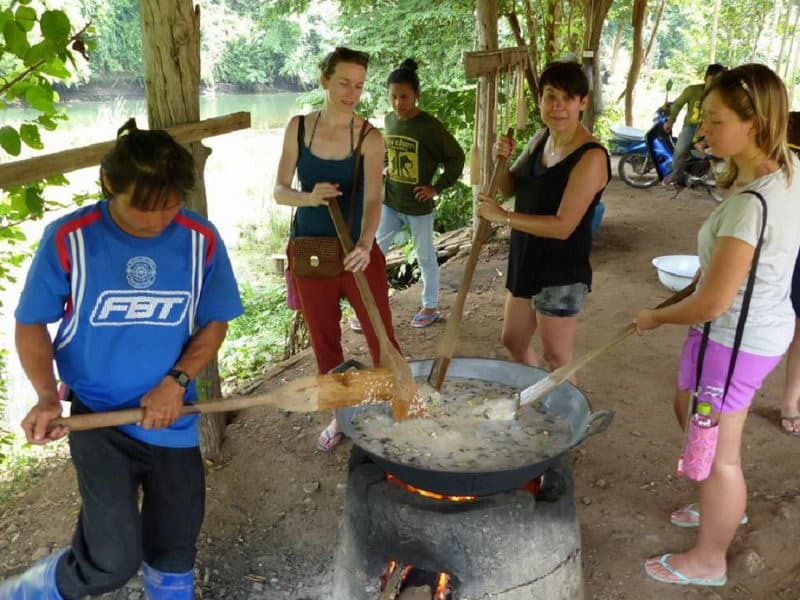 In addition to catering to elephants, the main duty of volunteers is to guide "one-day camp" tourists to understand the habits of elephants, and to cultivate their awareness of the protection of elephants through interaction with elephants. 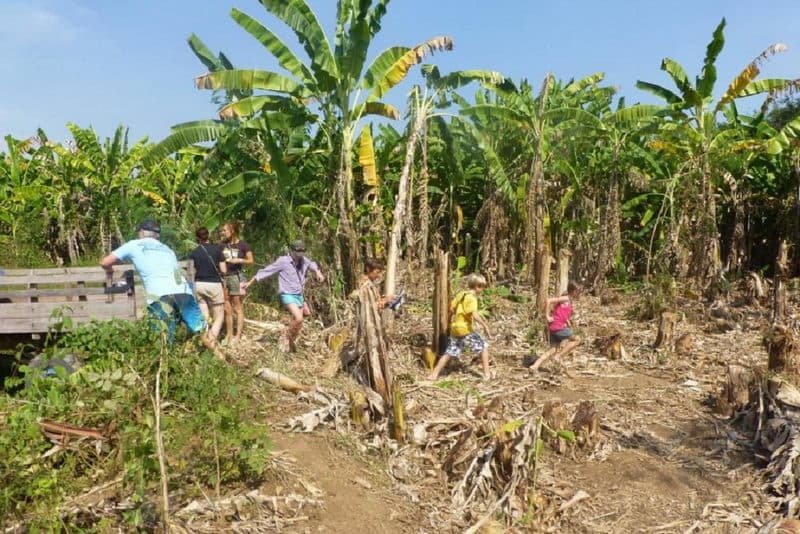 The tourists who visit here can help to harvest corn, watermelon, cut grass which the elephant can eat, cook corn porridge and snacks for elephant, and help the elephant to bathe in the river. The elephant is a very healing animal. 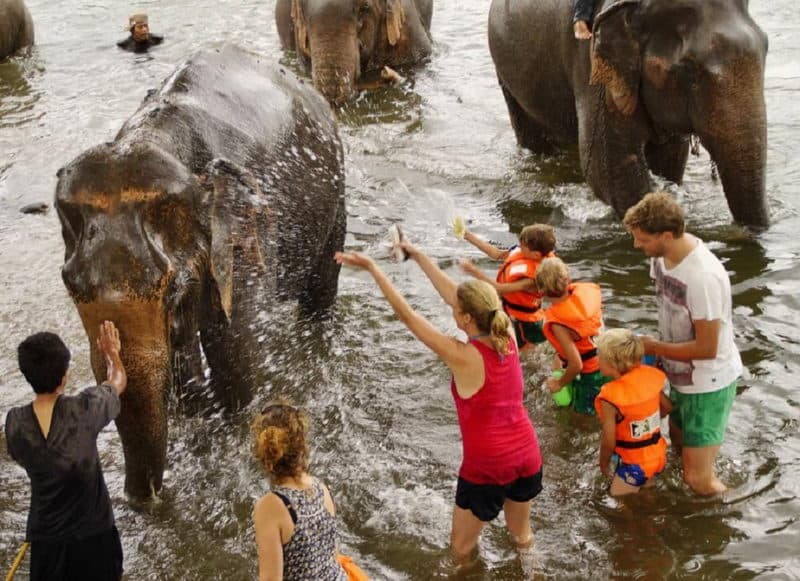 It's a rare experience that not to ride an elephant, but to serve an elephant in Thailand Elephants World. Here is the place where these great animals should be free and taken care of. 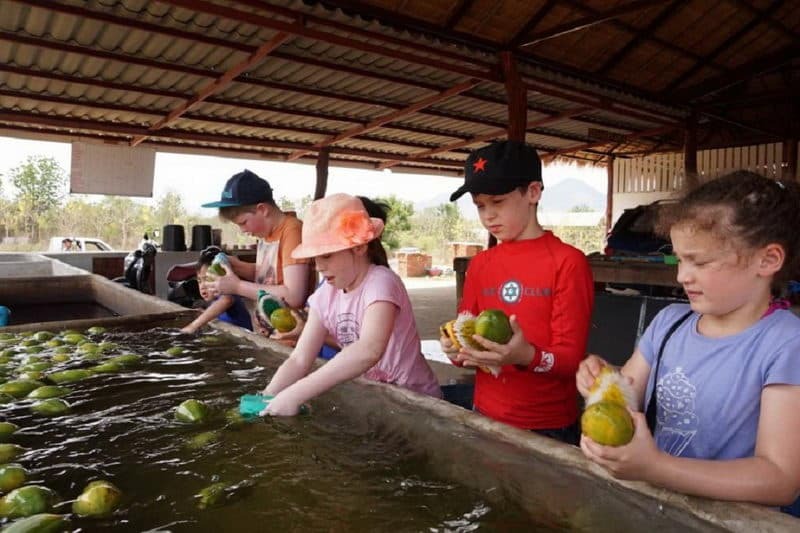 So one-day trip of Elephant World includes elephants feeding, elephants bathing, fruit picking, help porridge and dessert making for the elephant, and so on, and it also contains a lunch, and every person should pay 2500 baht. This is a very useful and different experience of life.